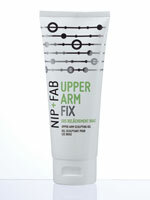 Nip + Fab is the fabulous skincare and body care line shaking up the beauty world. Designed to deliver targeted treatments to the skin, face and body, Nip + Fab’s serums and facial masks help counteract the signs of aging while repairing and protecting skin. Nip + Fab is quality skincare for modern concerns at everyday prices.